DEARBORN, Mich. – April 12, 2011 – At the age of 17, Brian Deegan left his home in Omaha and headed for Southern California with only the F-150 he drove, a credit card and his dirt bike, dreaming of becoming the next big thing in Motocross. That 1989 Ford truck carried him and his dreams halfway across the country and to an entirely new life – the one he pictured growing up in the heartland. In the 17 years since Deegan has become a recognized innovator of FMX, one of the most decorated X Games athletes and an icon in action sports. He's not done yet. Deegan is now looking to take that same competitive fire to four-wheel motorsports and again looks to Ford to help him get there. 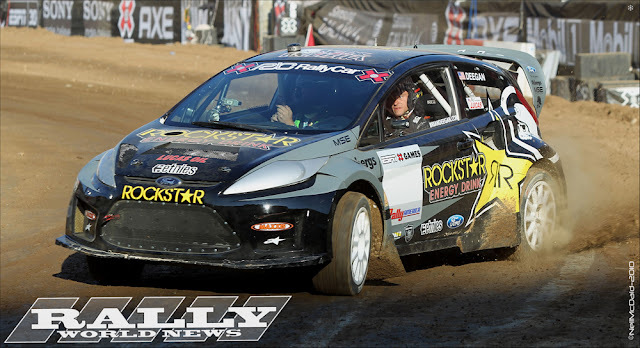 Deegan's partnership with Ford Racing announced today will allow him to race Fords in multiple action motorsports platforms, including the Ford Raptor in the Lucas Oil Off Road Series, Global RallyCross Championship and at X Games 17 in Los Angeles. "I'm a Ford guy – always have been - and I'm really excited about working together. In order to be successful as a racer I need to be with the best," Deegan said. "When you think of racing, especially off-road truck, Ford has dominated, and there is nothing I'd rather be behind the wheel of." Deegan, who earned the nickname "The General" after founding the famed Metal Mulisha dirt bike team, has established himself as one of action sports' cultural icons. Credited as the creator of FMX and an action sports pioneer, Deegan parlayed that success into becoming an influential cultural and lifestyle voice through the Metal Mulisha line of clothing, apparel and lifestyle products. Deegan has been nominated for an ESPY Award, has been recognized as one of the Top 100 Athletes of Action Sports and is a 12-time X Game medalist. A rising star in the Lucas Oil Off Road Series racing a Ford F-150 truck, Deegan won the Championship in 2009 and was named Lucas Oil Driver of the Year in 2010. 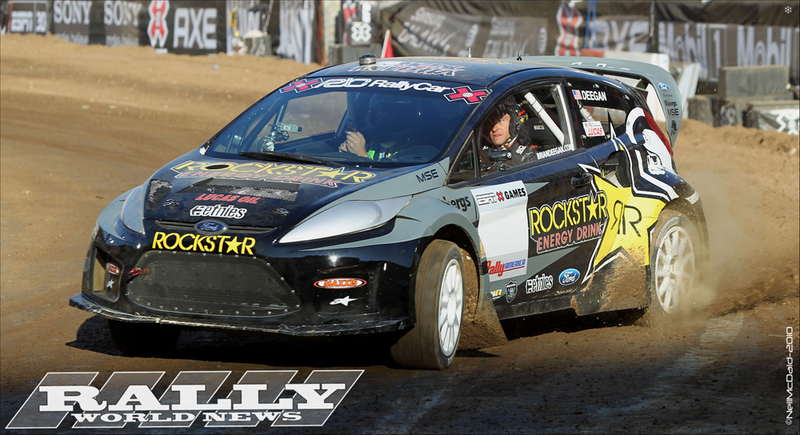 Accustomed to the spotlight at X Games, Deegan has tackled the rally competition in a Ford Fiesta the last two years. In 2010 he won a pair of silver medals at the LA Coliseum. "One thing I am used to is riding dirt bikes," Deegan said. "I grew up doing it ever since I was eight years old and I feel comfortable there. I went out and won a lot of medals and (then) won at supercross." "However there comes a time in your life where you're like 'have I done it all, or do I want to take on the next chapter?' 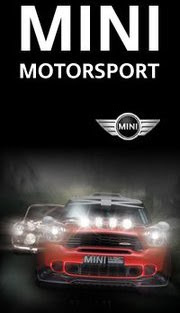 and I saw four-wheels as the next chapter. When the opportunity came through Rockstar and Ford to race rally car at X Games , I was like 'It sounds pretty cool and I am going to go for it.' For an athlete who comes from the top of the game to start at the bottom again, it isn't easy. You have to kill your ego and your confidence is back to where you have to start over and try to learn this as fast as possible. I feel like my technique from dirt bikes and learning how to be the best at a sport has carried over." As part of the agreement, Deegan will begin running in the Global RallyCross Championship as his Lucas Oil schedule allows. He was in attendance at the GRC kickoff at Irwindale Speedway in late March as a spectator and will be in the Ford Fiesta the Global RallyCross Championship event at Pikes Peak International Raceway and again at X Games. "I would like the welcome 'The General" to Ford," said Jamie Allison, director, Ford North America Motorsports. "Brian Deegan is a true pioneer in action sports who has won at the highest level in everything he has competed in be it motocross, surpercross, freestyle motocross and short course trucks. Brian is a competitor and brings versatility to our action sports program not only with his racing background but with the Metal Mulisha team of riders and their fan outreach opportunities." "Racing's been in my blood since I was a little kid and joining forces with Ford is something that I have always dreamed of," Deegan said. "I look forward to winning more championships with them."